We’ve found a lovely spot at Braunston for the Bank Holiday Weekend. The toll house and marina are close behind us, with the the junction a little way ahead. 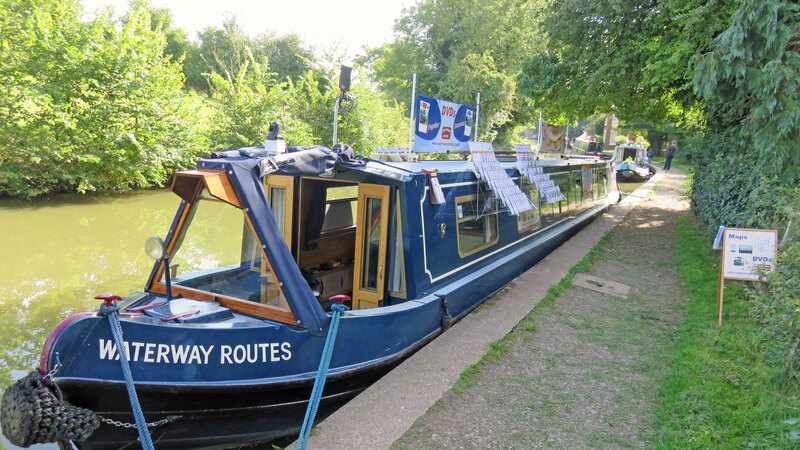 It’s signed as a 48 hour visitor mooring but Roving Traders are permitted to stay a whole weekend, including the bank holiday Monday, in return for the extra licence fee we pay. 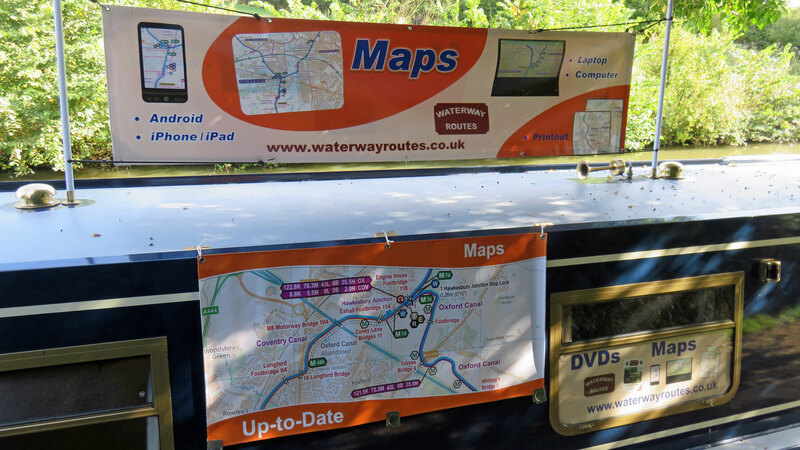 The left hand rack is full of maps for browsing and we can show you lots of examples of how the maps can be used like sat-nav for canals, or Google Maps for canals on your phone, tablet or computer. We’ve got printed examples of canal maps too. 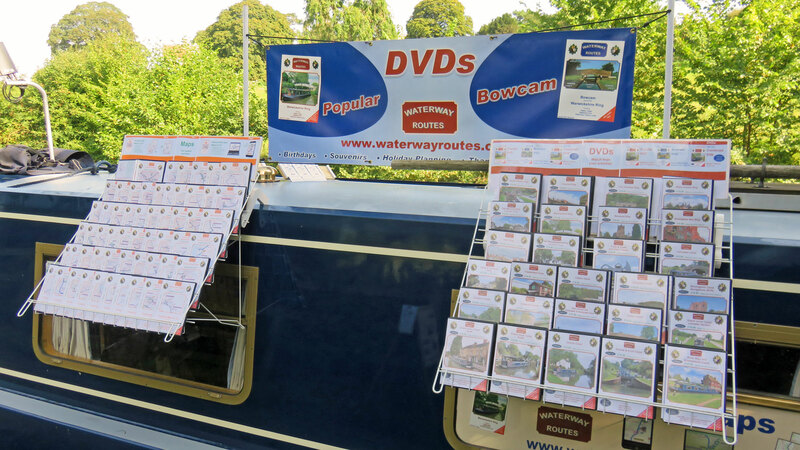 The right hand rack has our great range of DVDs in a choice of three formats – Popular, Bowcam and Combined. Please come and say hello if your are visiting Braunston this weekend. We’ll be here until Tuesday morning. You can purchase at Braunston from the stock we have on board, or take a leaflet away and order by download or mail order from our website. As today is the 25th, albeit August, may I suggest these make good Christmas present ideas for family and friends – or for yourself if you suggest them to anyone who asks what you would like.